In 2015, there were 13.9 million business credit cards that were held by businesses in the U.S. One of every six dollars that was spent on credit cards in 2015 was spent by businesses using their credit cards. A commercial credit card is a type of credit card that has features that are specifically designed for businesses. 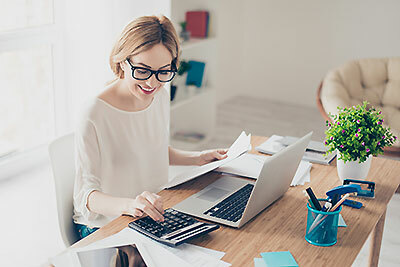 Businesses that qualify for a commercial credit card may use them to pay invoices or to purchase items that they need to continue operating their companies. Businesses may also give their employees a commercial credit card so that their employees can buy things for the company without having to spend their own money and to wait to be reimbursed. How does a commercial credit card work? A commercial credit card works in a similar way to a consumer credit card. It has a 16-digit card number and may be co-branded with a specific retailer or be branded as a Visa, Discover, Mastercard, or Amex. Businesses and their owners must be credit-approved to obtain these cards. Companies may give their employees business credit cards to make purchases for their jobs. Charges are paid from the revolving lines of credit that are linked to the cards. Businesses may be charged interest on balances that they carry from month to month. Currently, the average interest rate charged by business credit card issuers is 14.59 percent. In what situations would it be the most beneficial to use a commercial debit card? Business debit cards may be good choices for businesses that are averse to debt and that want to have better control of their employees’ spending. Debit cards can be given to your employees so that they can spend your company’s money on items that your business needs rather than spending their own. Using business debit cards can help to streamline your expense management processes. You can use them for all of your company’s spending and get rid of reimbursement processes, purchase approvals and check writing. This can help you to limit your employees’ access to your money so that you can prevent fraud. Why can using a commercial prepaid card help to grow your business? When you use a commercial prepaid card to make payments and purchases that you need, you can build your company’s reputation with its suppliers and vendors. By giving prepaid cards to your employees to purchase supplies, you can make certain that they are able to pay invoices promptly. Business prepaid cards can also help your company to save money so that you can devote more resources to its growth. When you reduce the losses that your company has because of waste and fraud, you can concentrate on increasing your profits so that your business can become more successful. If you are looking for a business credit card, there are several things that you should look for. You will want to find a card with the lowest interest rate that you can. A card that doesn’t have an annual fee is also a good choice. Business credit cards may offer different perks and features that are specifically designed to meet the needs of businesses. You should review the features and look for cards that give you the ability to control your expenses so that you can keep your company’s debt in check. How can using a commercial credit card reduce business spending? Using business credit cards can help to reduce your company’s spending. By using cards to make purchases, you can save the time and money that your business would otherwise spend in completing requisitions, approvals and payments or writing checks. Commercial cards also allow you to understand exactly how much money is being spent and to restrict the amount of allowed spending in different expense categories. This can help you to prevent losses that might otherwise occur because of waste, abuse and fraud. Accounting can also be made simpler because the data from the cards can be imported into your software instead of being manually entered. What are the differences between a commercial credit card and commercial debit card? Business credit cards and debit cards differ in a few important ways. Credit cards require your credit to be approved and are linked to revolving lines of credit. When you spend money on your business credit card, it adds to your company’s debt. If the balance is not repaid in full each month, you will also be charged interest. Business debit cards are linked to your own account rather than to a line of credit. They are not credit cards, so your credit will not be checked. When you use the cards to make purchases, the cost is subtracted from your account and will not add to the debt level of your company. Debit cards also do not charge interest on the balances since the money is yours. 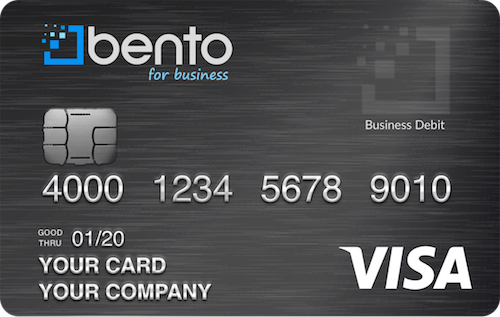 The Bento for Business Visa business debit card offers features that allow you to restrict how and where they can be used and how much can be spent. You can give each employee a card to use for his or her job that is restricted to the types of purchases that the employee’s job mandates. For example, you can give a traveling salesman a card that is restricted to $100 per week at fuel stations. The driver will not be able to purchase anything other than fuel at the pump. You can restrict an employee’s card to $1,000 if he or she needs to attend a conference to pay for the cost of airfare, lodging and car rental fees. The cards from Bento for Business give you considerable control over your money and where the cards can be used. You can set spending limits by the day or week and turn the cards off when your employees are off from work. If an employee attempts to make an unauthorized purchase, the attempt will be declined at the register. 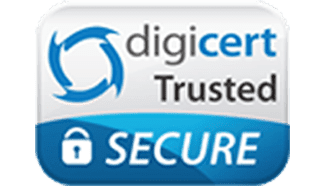 You can log into your dashboard from your mobile device 24 hours per day so that you can see real-time information about how your money is being spent. If a fraud attempt has been made, you will see it and can turn the card off instantly from your dashboard. The cards also cannot be used to withdraw money from your account. Bento for Business is one of the best solutions to businesses that want the flexibility of having debit cards. You are able to order up to 10 cards for $29 per month and can try them out for a 60-day free trial. The expense control features help businesses to save money and reduce losses. Your deposits are insured by the FDIC for up to $250,000, and Bento uses highly secure SSL-encryption technology to protect your information. To learn more, call 866.220.8455.